January 5, 2018 2:47 pm. The Pinkerton will take the first step in what could be a big campaign when he runs in the Three-Year-Old Handicap at the Gold Coast. 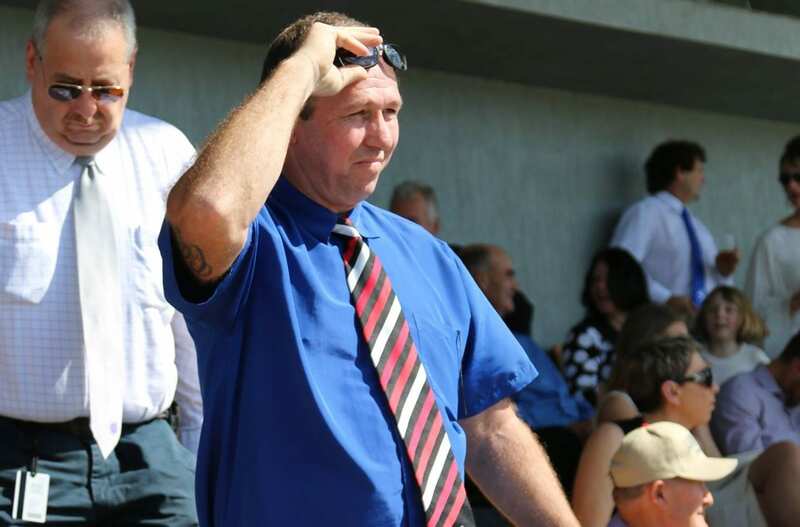 Trainer John Zielke believes The Pinkerton can develop into a top-flight three-year-old stayer in the next few months. The Pinkerton beat older horses to win an Ipswich maiden over 2100m in September before finishing third at Doomben. He resumed with an impressive second behind another promising horse, Expertea, over 1600m two weeks ago and steps up to in distance on Saturday. “It was a very good run fresh and I think the 1800 metres will be perfect for him on Saturday,” Zielke said. The Pinkerton, who is by superstar Frankel’s three-quarter brother Bullet Train, now races in the famous colours of Bob Lapointe. The colours have been worn by many top horses including Handy Proverb who won the 1986 Queensland Derby. “Bob now races the horse with me and my biggest owner Evan Hartley’s Doveden syndicate so I said the horse should carry Bob’s colours,” Zielke said. The trainer is looking at the Group One ATC Sires’ Produce Stakes and Group One Champagne Sakes with two-year-old Hopes Eternal in the autumn. Hopes Eternal overcame difficulties to run second to Meryl in the Group Three B J McLachlan Stakes at Doomben last Saturday.